It was a typical Motor Pool Maintenance Monday morning and I was standing in Battalion formation ten minutes prior when I noticed that only one of my Soldiers was in formation with me. I am a Brigade Support Battalion (BSB) S1, and my shop is manned at a healthy nine personnel, including myself. What were the odds that my entire section, minus me and my lowest ranking Soldier, was legitimately absent from formation? 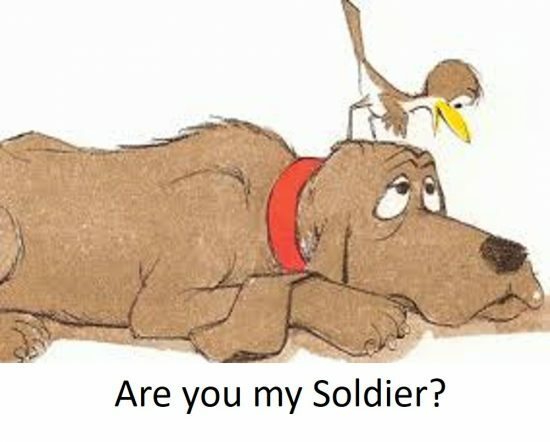 I turned to the Soldier next to me, “have you seen PFC X?” No luck. I turned around and glanced at one of the NCOs behind me, “do you know where SGT Y is? Nope. I started feeling like the little bird in P.D. Eastman’s famous children’s novel “Are You My Mother?” as I wandered around the formation. My NCOIC was at training that week, preparing to help one of our sister BSB’s with a field training exercise, my floor NCO was the Company Unit Prevention Leader and was preparing for a urinalysis, and my CPL was getting mail. That took care of my section’s NCO leadership, but where were my Soldiers? And, more importantly, how effective could my S1 shop be in any environment where all of my experienced leaders were too busy completing other requirements to train my Soldiers? I continued running through the list of names in my head: one on duty recovery, one at driver’s training, one at funeral detail practice, and one in Soldier for Life… that was my entire section, fully accounted for and legitimately absent from Motor Pool Maintenance. My Company Executive Officer handed me a folder of maintenance checklists, and my newest private and I went off to inspect our equipment. That Monday was an extreme example, but hardly an isolated incident. I frequently come back from meetings or talking to one of my supervisors to find my section empty or nearly empty. But when I call my Soldiers they’re not just hiding out, they’re tasked out. They’re helping with this detail, or that range, or in a class where the company is required to send a certain number of Soldiers. I have a PFC who has been in my unit for almost a year, but she does not know her job nearly as well as she should, because she is never in the office. If you ask her to fire a heavy weapon, or execute a flag folding with military precision though, she’s a pro. Taskings are a necessary part of military life, especially at the company level. But as a Human Resources professional with an obligation to provide customer service to the Battalion, I frequently struggle to find the line between supporting my Company Commander and accomplishing my Battalion mission. I am perfectly willing and able to perform Soldier level tasks and customer service when the situation requires it, but when those tasks become my primary responsibility, I become ineffective as the Officer in Charge of my section. And, equally important, my Soldiers miss out on the valuable on the job training that they need in order to become effective Human Resources leaders in the future. This is not unique to the S1 section by any means, other low-density MOSs across my organization, and across the Army in general, have the same challenges. But the S1 section has a unique responsibility to always be available to help Soldiers. It is challenging and uncomfortable to explain to a Private that I can not take his Basic Allowance for Housing packet to finance right now, even though it has been kicked back twice already and cut-off for getting paid on the first is tomorrow, because I am the only one in the office and the rest of my team is tasked out. The little bird in P.D. Eastman’s famous children’s novel asks “Are You My Mother? We are always told to be team players in the Army, and I continue to have that mindset. However, after multiple incidents like that Monday morning, my NCOIC and I have become much more deliberate about how we accept or reject taskings from the Company. We have learned the importance of investing the time in developing an accurate and detailed troops-to-task, and not just submitting something vague every week to meet the requirement. We make the extra effort to ensure that one of us is at every training meeting or tasking huddle, so that we have a voice when those decisions are being made and can explain our concerns directly to the decision-makers. 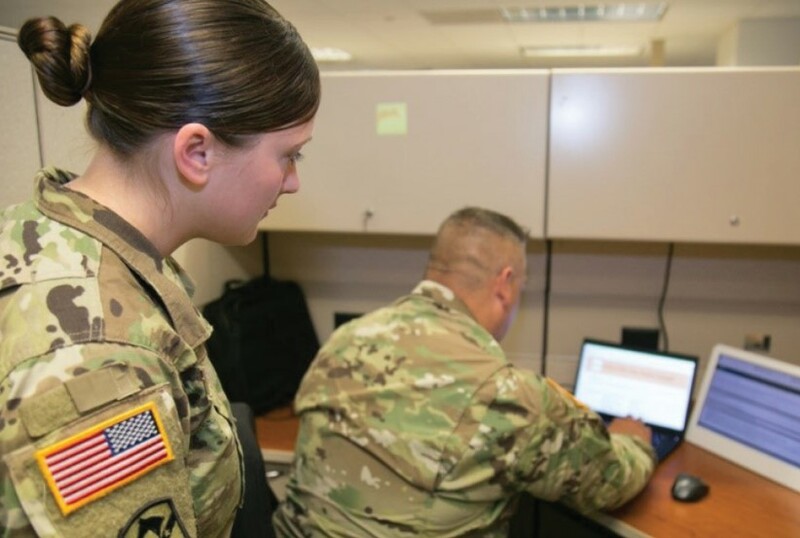 We have spoken with our Soldiers about how important it is that they be in the office, so that they know they need to call us first when someone asks them to help with this detail or assist with that project. About the Author: 1LT Meghan Winters is the former 3rd Brigade Support Battalion S1, 3rd Infantry Division, Fort Stewart, GA. 1LT Winters has recently PCS’d to Fort Jackson, SC and is currently attending the AG Captains Career Course. This has been a recurring issue with Soldiers since before I joined the Army (long ago in a galaxy far away). The Senior leaders of the Army fail to realize that support Soldiers primary mission continues in garrison and deployed. While combat arms Soldiers are training for the next fight at home station, its the support personnel that are routinely tasked out for garrison support missions as borrowed military manpower and then are not trained to proficiency in their primary MOS when deployments come. Great article. I would love to know if others have had the same or similar experience.